There is always inherit risk with leaving your dog in the car unattended. 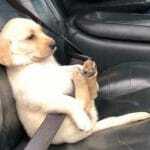 We personally recommend never leaving your dog in the car alone unless absolutely necessary. 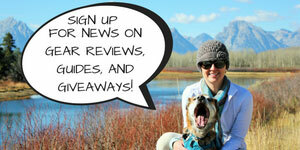 Happy paw-rents love to bring their pets wherever they go. 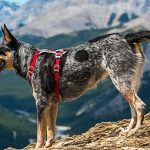 Fortunately, several outdoor restaurants, stores, and other areas have made it easier for you to tag along with your pup. How can I leave my dog in the car safely? 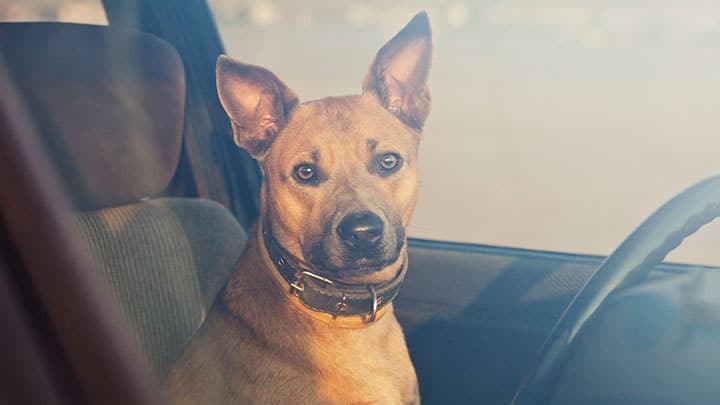 If you enjoy a ride with your dog, and you make a stop, should you leave them in your car? If you do, how long can you leave them there? Does that state you’re in even permit you to leave a dog in your car? As a dog owner/lover, you have to know the answers these questions. Is it legal to leave your dog in the car? About half of the states in this country prohibit leaving dogs, cats and other pets in parked cars unattended. The vehicle must be parked. You cannot endanger an animal’s life or expose them to imminent threat. Some statutes leave this open ended, others specify extreme hot or cold temperatures or inadequate ventilation or water. If law enforcement bodies find anyone breaking these rules, that person could be charged with animal cruelty. 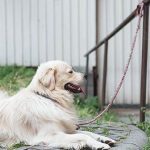 In areas where the state has no laws regarding leaving pups alone in vehicles, city governments and municipalities may formulate their own standards. 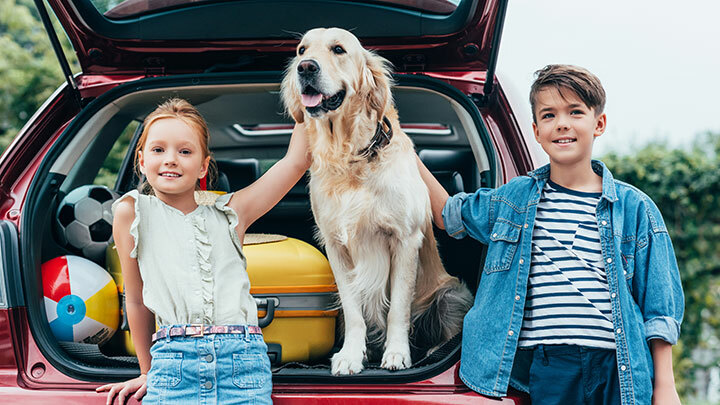 To save you time, we’ve linked to the applicable law for each state regarding leaving your dog in the car. If there is no link to the state, then there is currently no law we were able to locate (that doesn’t mean it doesn’t exist; we do our best to keep it updated). 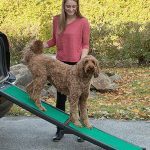 Is it okay to leave your dog ALONE in the car? We’ve covered the legality, but should you really leave your dog unattended in the car? The temperature should be number one factor to consider before you leave your dog in the car alone. This should be followed by the time you will be away. Studies have revealed that a car left in extreme temperatures can freeze or become scorching hot in a short period of time. It doesn’t matter even if you crack the window. When the temperature is at 70 degrees Fahrenheit, in 10 minutes your car will have heated up to 89 degrees and 104 degrees in 30 minutes. When the temperature is at 80 degrees Fahrenheit, your car will heat up to 99 degrees in 10 minutes. In 30 minutes, it will heat up to 114 degrees. At 95 degrees Fahrenheit, your car will heat up to 114 degrees in 10 minutes. At the same temperature in 30 minutes, your car will heat up to 129 degrees. Here’s a cool little table by the American Veterinary Medical Association that lists estimated vehicle interior air temperature over time. As your car heats insides, the harder it becomes for your dog to breathe. So if you have locked your car with hot air only available to breathe, they can’t keep cool. As a result, heatstroke is likely to happen. On the other hand, even if your dog likes to play on cold days, the situation is different when they are in a stationary car. They are more vulnerable to chilly weather while in a stationary car. Can you break into someone’s car if you see a distressed dog? This depends on the state or local laws, but in some cases it IS legal. The statute goes on to qualify the specific conditions. 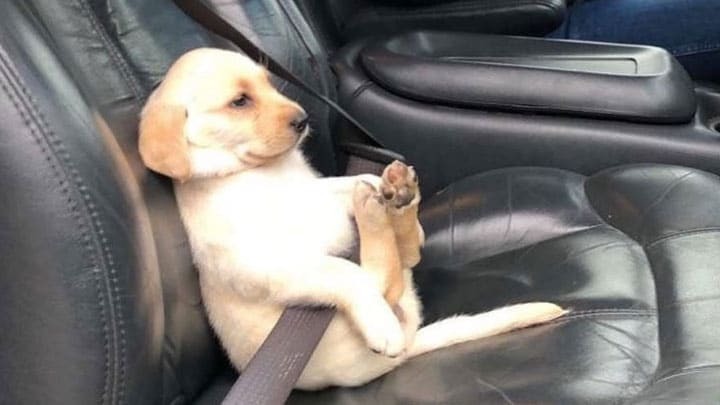 Regardless, we recommend you first alert the local police if you think a dog is in danger and follow their instructions, less you end up like this Ohio man cited for what he believed was doing the right thing. What should you do if a dog shows sign of heat stroke? Heat stroke is caused by extreme hot temperature. As a result, it can lead to brain damage, blindness, hemorrhages, organ failure, seizures, convulsions, and death. If the skin of your dog turns red, you spot the onset of diarrhea, rapid panting, nausea, and vomiting then it requires immediate attention. Quickly get him to a cool area or a place near the fan. Cover him with wet towels soaked in water. This will help cool his body temperature. Alternatively, look for some shade and a hose if you don’t find a cool place or a fan. Spray on the back of the dog’s head and neck.it will help to lower his temperature. Massage the legs to help in blood circulation. 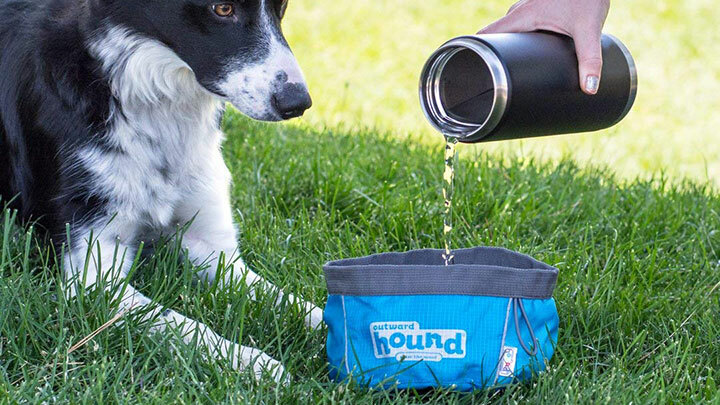 Above all, allow your dog to drink as much water as he wants. You can add a tiny bit of salt to his water to restore the lost minerals. 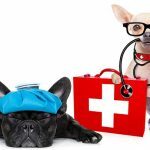 While you’re doing the above have someone call your local pet ER and determine if you need to follow-up with a vet immediately or possibly just for a check-up later in the week. If you must leave your dog unattended in the car, below are some tips you need to consider. Park your car in a shady spot. Don’t leave your dog alone in the car when the temperature is too hot or too cold. Your stop should not last more than 10 minutes. If it has to, keep an eye of your dog from your location. Use a screen to block solar radiation from entering your car. Leave a bowl of water with your dog. Water will help to keep your dog cool. Consider the age and health of your dog. 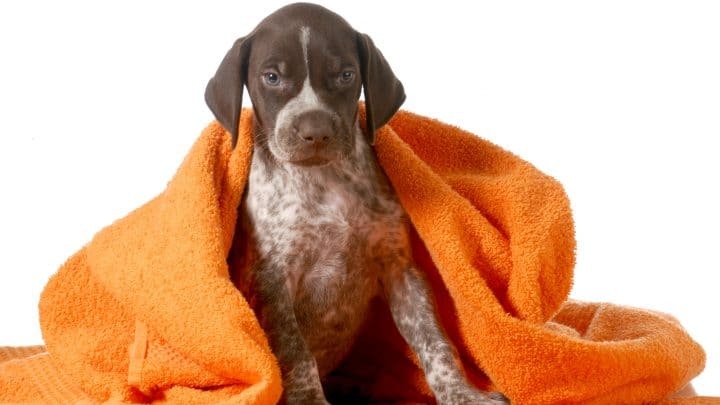 Any or both of them can result in your pup being susceptible to extreme temperatures. Remember dogs are creatures of habit. They depend on you to have a good time. If you are on a ride with your pup, give him regular potty breaks. Get him out of the car to stretch and sniff. Grabbing a bite is also important as it is to you.